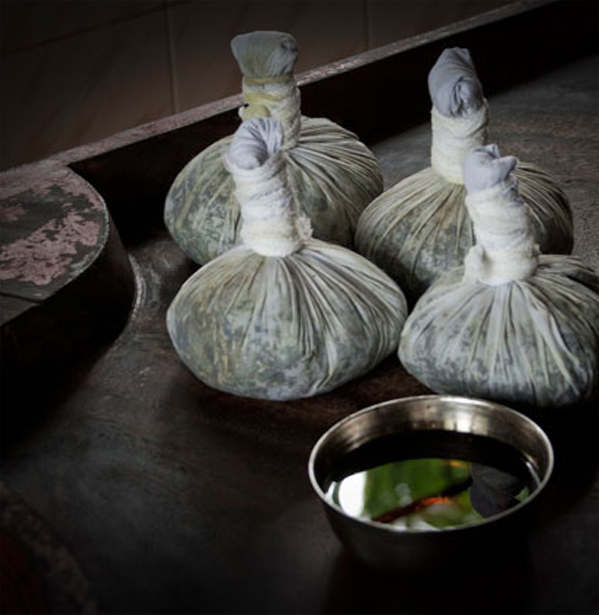 Ayurveda is the science, which uses the inherent principles of nature, to eliminate the diseases and protect the health of a person by keeping the individual’s body, mind and spirit in perfect equilibrium with nature. Vata, composed of air and space, governs all movement in the mind and body. It controls blood flow, elimination of wastes, breathing and the movement of thoughts across the mind. It is also responsible for the activation of the nervous system, hearing and speech; and expresses as enthusiasm and creativity. Pitta is said to be composed of fire and water. Pitta regulates all heat processes, metabolism and transformation in the mind and body. It controls how we digest food, how we metabolize our sensory perceptions, and how we discriminate between right and wrong. Kapha is the watery “humour”. It is condensed from the elements water and earth.It cements the elements in the body, providing the material for physical structure and maintains the body resistance by lubricating the joints; giving the biological strength, vigour and stability, supporting memory retention.